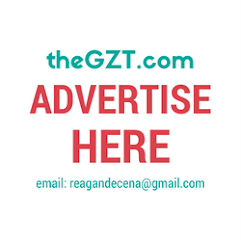 Financing The Freedom Lifestyle | The GZT. Freedom means different things to different people; but for many of us it’s having the time and money to enjoy life on our own terms… to do the things you want to do, when you want to do them… for some this will involve travelling the world whilst for others it might be upgrading their home. Whatever ‘freedom’ means to you, in today’s flourishing digital economy there is an abundance of opportunity to create a life of freedom - meaning you can work remotely, from anywhere in the world, providing you have a laptop and a decent internet connection! For many people, “living the dream” no longer features a corner office, fancy title, and fast car such as a Subaru WRX parked in their garage - it’s more akin to jetting off to an exotic location and working from their laptop, on a beach, whilst drinking from a fresh coconut. Indeed, there are plenty of people who have exchanged their cramped office cubicles and daily congested commutes for a beach hut in Thailand where they will sit getting a foot massage for next to nothing, whilst listening to the sound of the ocean, working on their iPad. This is a truly incredible time to be alive, as more and more people are able to travel the world without sacrificing their education, career, or earning ability - however, the fuel that will enable your freedom to travel is linked to the amount of income you have… which is why, in this article, we’re going to focus on how to make money whilst travelling the world. The opportunity to travel the world and live the freedom lifestyle is within your grasp - but you’re going to need to generate a decent income to fuel it.... as otherwise, you’ll end up pacing up and down the beach in a state of financial stress rather than blissful relaxation! Indeed, even “cheap” countries such as Thailand and the Philippines aren’t as cheap as one might expect. Sure, you can live a very cheap lifestyle where you spend just a few dollars on accommodation and food; but presuming your idea of “freedom” doesn’t involve sleeping in a rock hard bunk bed, sharing a hot dorm room with twenty other travellers, without air conditioning… you’re going to need some money to enjoy the freedom lifestyle. There are a variety of people living an incredible lifestyle whilst travelling, but financially, they are struggling to make ends meet - perhaps they are dependent on their credit card in order to maintain their ‘freedom lifestyle’ but in truth, that’s not a life of freedom; it’s a life of debt… and that’s the opposite of freedom. If you are a freelancer trying to make a decent income, in today’s economy, the general advice is to develop a smorgasbord of projects - rather than depending on one source of income. Think of it as a table with four legs vs. one leg - as your financial stability is inherently vulnerable if you just have one leg supporting the table, as what happens if this gets taken away? The key advice, therefore, is to develop multiple streams of income rather than rely on one particular source. The next nugget of advice is to develop skills that are in demand, and in particular, skills where the demand is likely to increase in coming years. With the ever increasing trend for user generated content, and video explainers, the demand for video editing is booming and shows no signs of stopping; basic video editing is a skill you can pick up reasonably quickly, and the Adobe Suite of products doesn’t cost that much for a monthly subscription. Web Design is another booming market, and whilst, a few years ago web designers would require an understanding of coding language - today, there are plenty of WYSWYG website builders available, where it is as simple as dragging and dropping elements onto a page, without any need for coding. Remember, you don’t need to be a designer extraordinaire, you just need to be able to facilitate the tangible outcome that the client wants. Just as popular as web design and video editing is copywriting where you develop content for a client, whether that’s a blog post, advertising copy, or a description of the business or service. The more specialised this is (e.g. business plan writing) the higher paid you will be, but someone with a general grasp of creative writing can produce compelling copy that converts website visitors into customers. Let’s look at this from the perspective of having a niche blog rather than a broad blog. A niche is a focused subset of a particular market group; if you were to think about pet food, for example, you could break that down into cat food and dog food – these would be product groups rather than a niche. A niche is something much more specific like “gourmet organic dog food”. It purposely hones in on one particular subset of the market and becomes extremely relevant to that market whilst being intentionally less relevant to other people looking for a more general solution (i.e. dog food). In the case of having a blog on a broad topic such as budget travel, you are up against competitors with massive marketing budgets that spend thousands on digital advertising. Often, the broad markets are very crowded and competitive with a few dominant leaders that have a high domain authority which Google naturally pulls up the search rankings. If you were to think of this from a marketing spend perspective, you are wanting to get the greatest return on investment possible, and in spending money on digital marketing (e.g. Google Adwords) the cost per click for an advert relating to “budget travel” is going to be much higher than “budget solo female travel” because the search term is less competitive. It also means that the person clicking on that particular advert is likely to be a more relevant customer looking for your particular solution. Realistically, you don’t want thousands of people clicking on your adverts – you only want qualified prospects – and the more niche focused your marketing is, the better the conversion and the higher return on investment. That said, there is a tipping point, in that one step further from having a “budget solo female travel” blog is to make it all about vegetarianism, which could potentially work as a niche - but it’s important your niche doesn’t get so focused there will only be a handful of people interested in it; for example, if it was a budget solo female travel blog about fruitarianism. Of course, it can feel counterintuitive to limit your market, by focusing on one specific group, particularly if you’re offering something that has broad market appeal (e.g. travel) but think of specialists within the medical profession. You have general doctors then you have much higher paid specialist consultants that focus on a particular niche and charge way much more for their time. In focusing on a particular niche (e.g. a certain type of cancer) they create massive pull toward their offering to the people that are specifically seeking out a solution to the problem they face. In adopting this approach of specialist rather than generalist, you can position yourself as the go-to-expert within your category and align so strongly with your particular audience that they are magnetically attracted to your ‘specialist area’ of expertise. Remember, people have problems and they seek solutions – if you can position your blog or service as offering a more relevant solution to a specific problem, then you will stand out as the expert in that category - meaning you’ll get more work and be able to charge more for your time. In marketing, relevancy is everything and one of the best ways to make yourself stand out is to focus on being fantastic in one particular area, rather than a jack of all trades. With that in mind, if you are a web designer or copywriter, for example, then consider marketing yourself as a specialist within a particular field. The web designer that specialises in building websites for independent hotels or just for law firms will tend to have much more credibility with their respective audience, in part because they will be much more knowledgeable in terms of that particular area, but their positioning will elevate their status as an expert within helping their client. Finally, in terms of finding work there are a number of sites such as Freelancer and Toptal that make popular tasks such as web design, video editing, and copywriting accessible to a global market of freelancers; but perhaps one of the more lucrative and reliable is to find ongoing contracts from your home country or on the road… as this way you’re not entering into a bidding war, where often times, the lowest price will win the contract.